Donated by Special Collections’ prime benefactor, Esmond de Beer, this volume, Oxford University Press General Catalogue, is part of de Beer’s Locke Collection, a collection within the Stack. Esmond and his sisters, Dora and Mary, established a fund to provide ongoing support to Special Collections, and many books have been donated by, or once owned by, Esmond or members of his extended family. 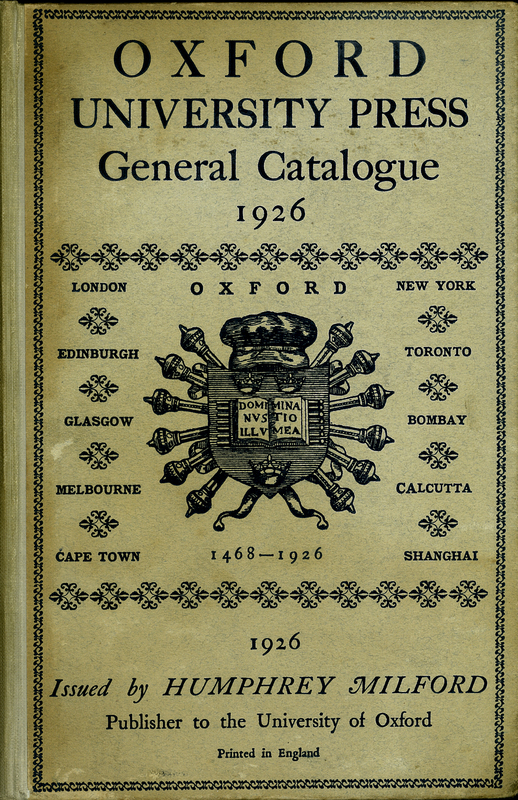 Oxford University Press, “Oxford University Press General Catalogue, 1926,” ourheritage.ac.nz | OUR Heritage, accessed April 22, 2019, http://otago.ourheritage.ac.nz/items/show/11229.